Published by Joshua Clare-Flagg on 29 Jun, 2014. 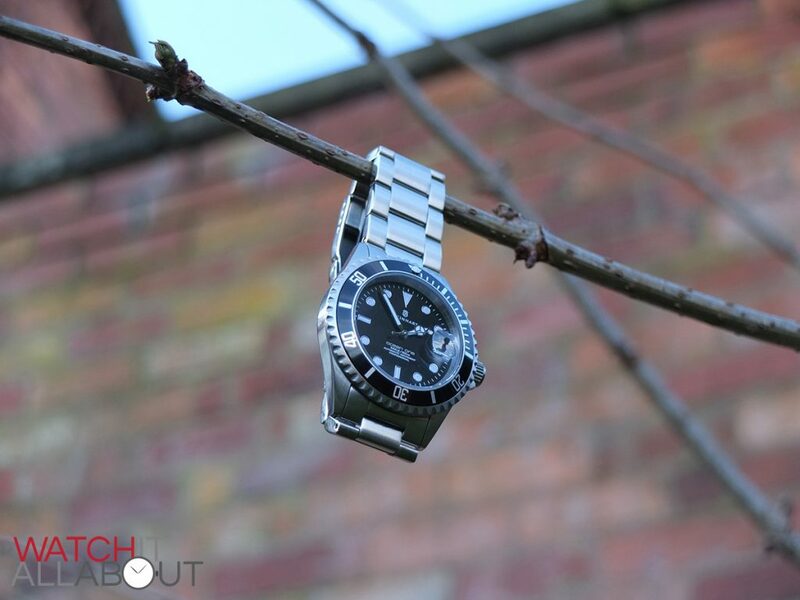 Steinhart has been around for quite some time now. No explanation is needed why though, as they consistently provide exceptionally well made affordable watches – all of which are Swiss Made. 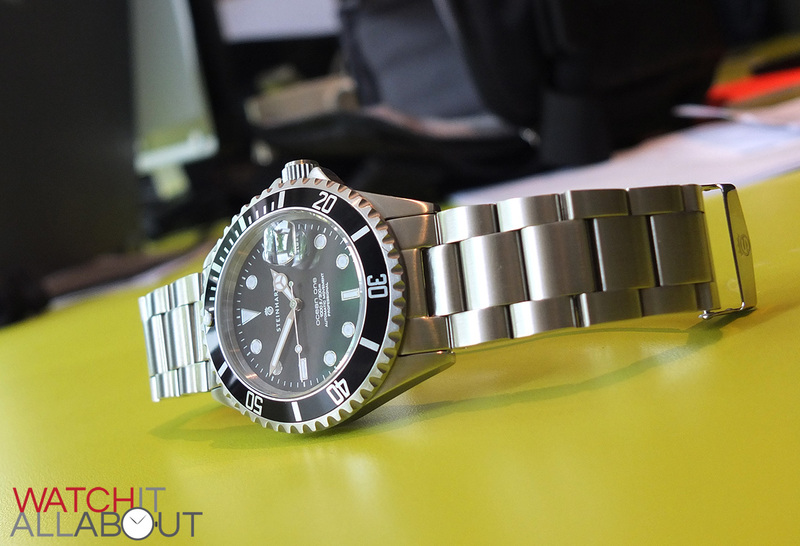 Their first and most popular model is the Ocean 1 – a homage to the Rolex Submariner. 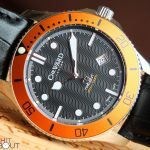 It is well regarded among the affordable watch community as being an exceptional watch for the money, being extremely well made and high specced for a ridiculous price of just €350. 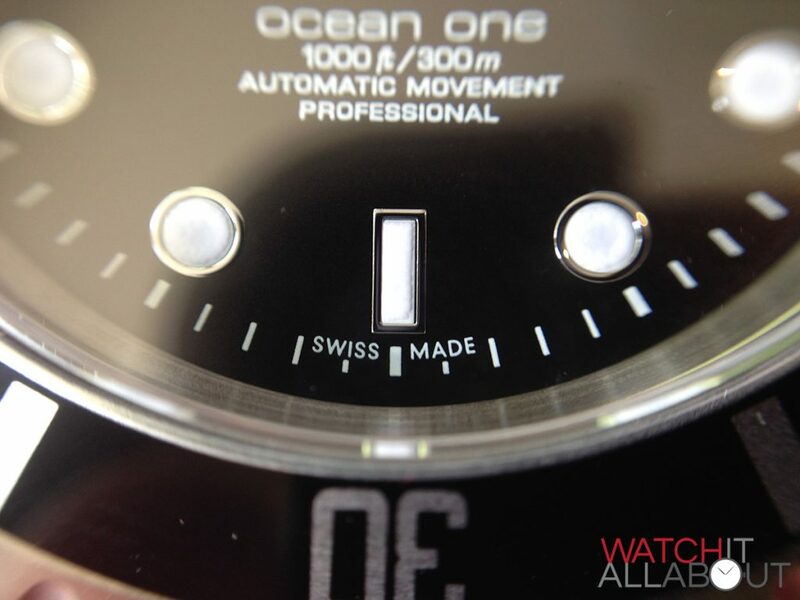 Let’s look at the Ocean 1 black in closer detail to see the reasons why this is the case, or if it’s too good to be true. 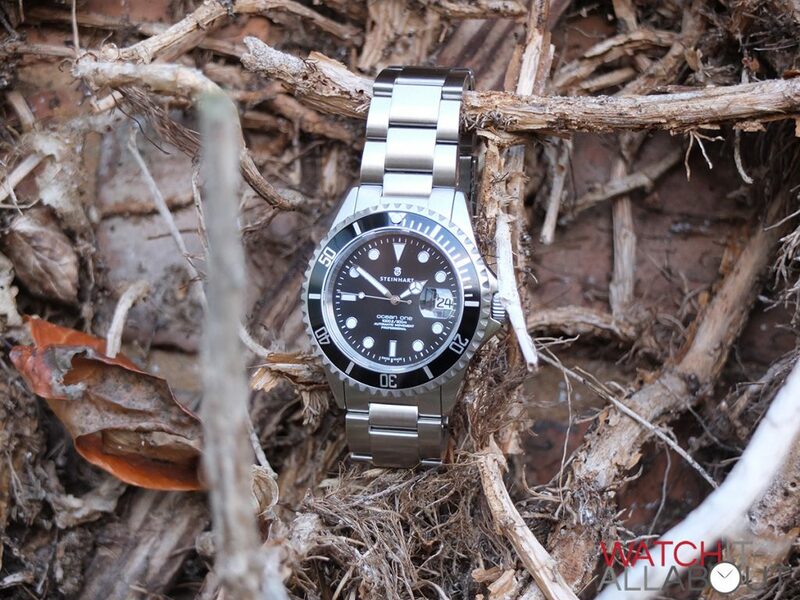 Although the Ocean 1 is a homage to the Submariner, the case size is more for the modern man, being slightly larger. It measures 42mm in diameter, 13mm high, with a 50.5mm lug to lug length. In addition to this, it weighs in at around 170g (up to 190g if you have a larger wrist than I do, as the extra bracelet links will add onto the weight) so it is a pretty decent, impressive and heavy chunk of steel on your wrist. It demands immediate attention due to it’s size and obvious excellent build quality as soon as you set eyes upon it. The case has a brushed finish on the top and bottom, with polished sides. 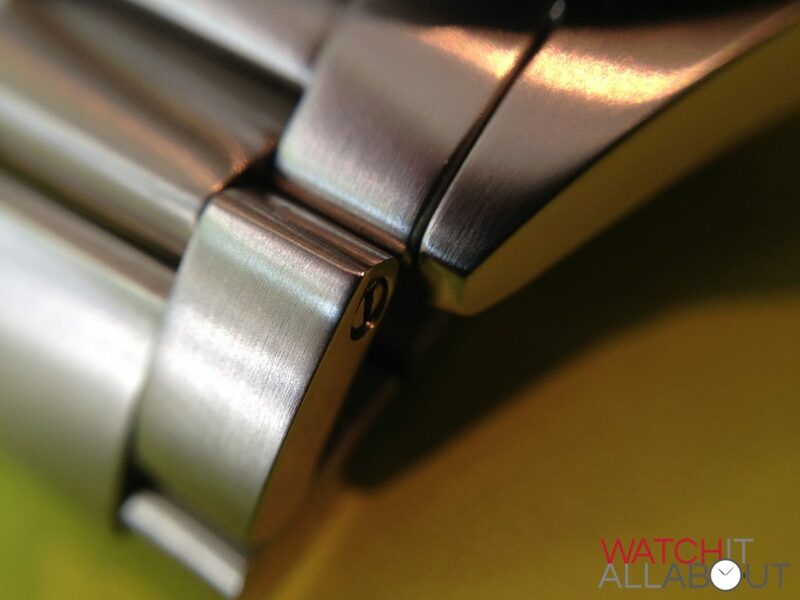 This configuration follows on into the bracelet too, so the whole watch looks very refined. Personally, I also think this is very sensible and practical as having a brushed top rather than a polished top means it’s more resilient to any scratches or knocks. Having the polished sides keeps it looking smart and separates the case well. 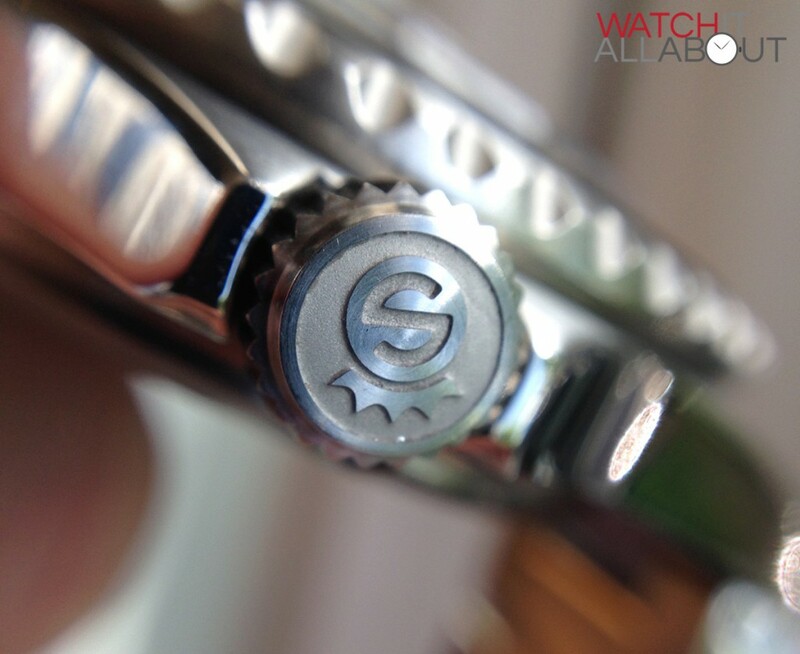 One of the key things to notice with the case of the Steinhart Ocean 1 is the notoriously flat lugs. 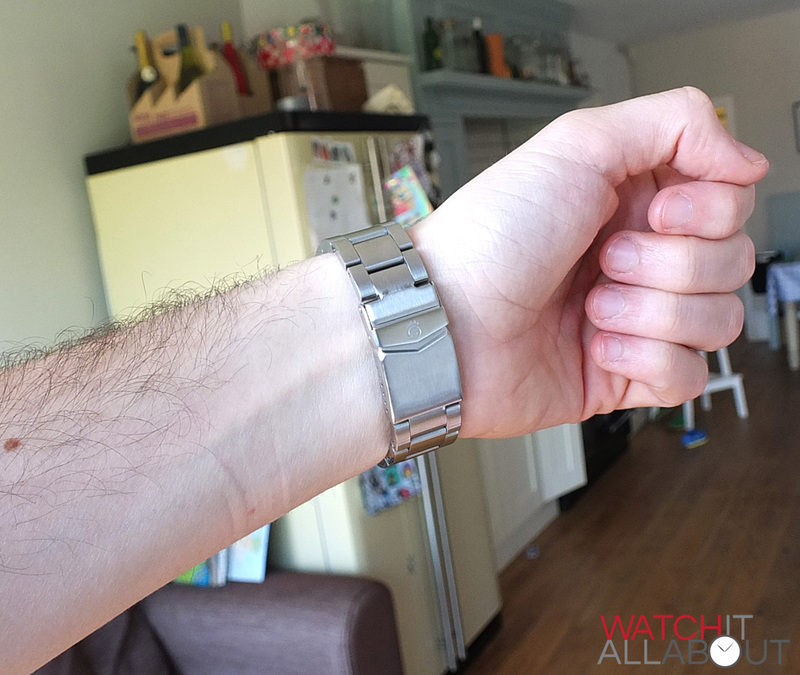 Looking at the watch side-on, you’ll notice that instead of sweeping down to hug the wrist, they go more or less straight out, with only a small down turn. This doesn’t really effect those with a flat wrist, but it does mean that if you have a round wrist which isn’t over 7 inches it can be uncomfortable and not fit that well. 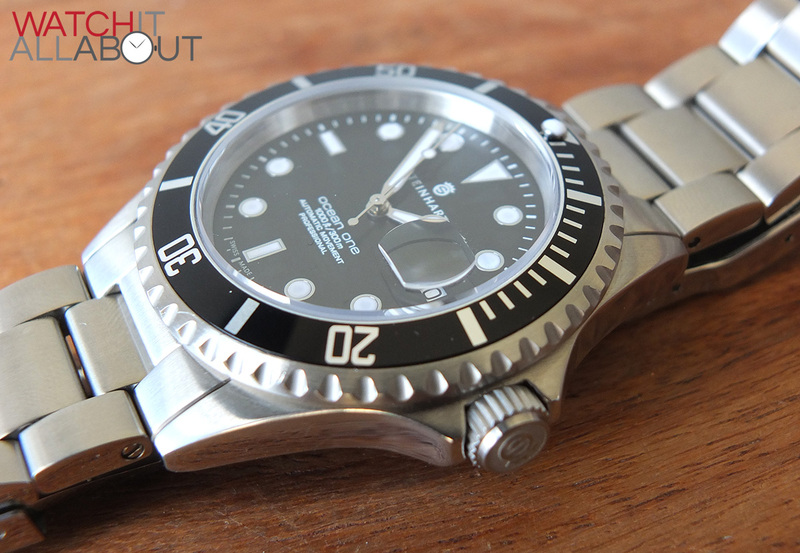 The bezel is a classic Submariner style, as you’d expect. At 12 is has a lume pip within a triangle, and it has the usual first 15 minutes fully marked up with 1 and 5 minute markers. After that, it has a bar and a number alternating for every 5 minutes. 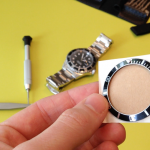 The steel insert of the bezel is stuck in, which means it can be a bit of a pain to replace (take a look at our guide) but if you’re careful, and don’t bash your watch, hopefully you won’t need to. The printing is all accurate, with no marks or sloppiness apparent. The grip is good, nice and deep and well machined. It’s not sharp or uncomfortable to use. The action and feedback of the bezel when you rotate it is very satisfying, and sounds out a reassuring click at every one of it’s 120 positions. It feels like it has very high quality mechanics behind it. It is smooth and easy to use, rather than stiff and scratchy. 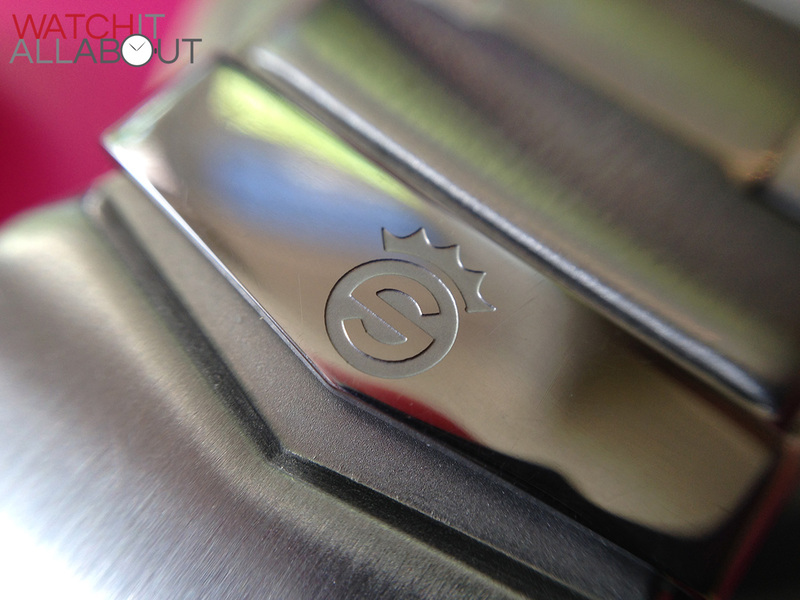 The screw-in crown is just as well machined as the rest of the case. Being brushed stainless steel, it looks very neat and functional. The thread feels good, reassuring you that you won’t be able to thread it easily. The grip is deep, and provides a very good level of purchase to unscrew the crown and manipulate the movement. 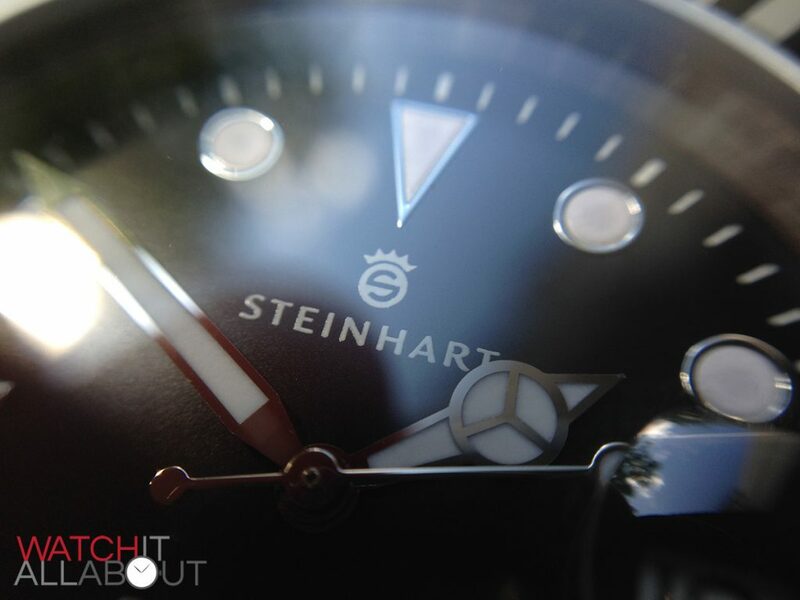 It has the Steinhart logo raised in the centre of the end. 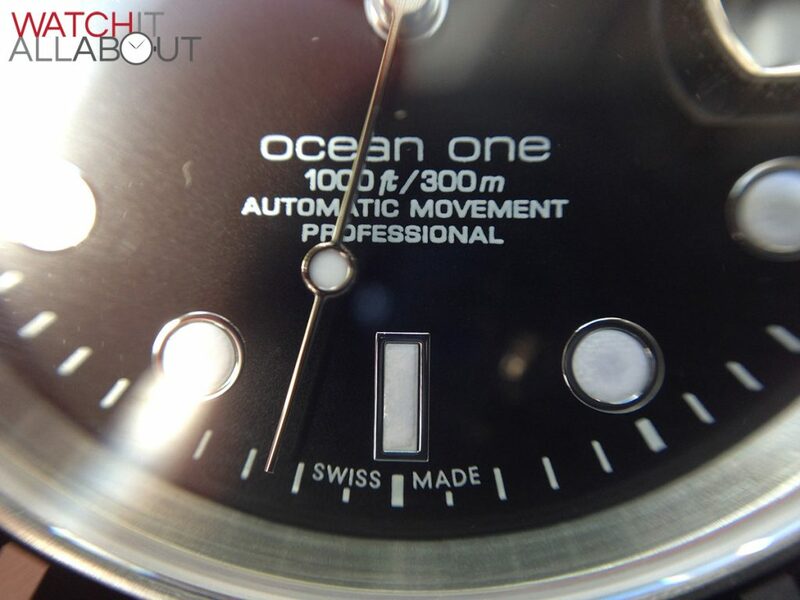 I really like the design of the Ocean 1’s crown, as usually the logo of the watch would be either etched or embossed on the end of it. But this is a little different, having a lower matt level with the logo raised on top of it. A great design feature which is perfectly executed – it shows incredible attention to detail, which I love. The crown guards protrude quite far, offering a good degree of protection to the crown itself. They extend smoothly from the side of the case and are elegantly designed and carried out. 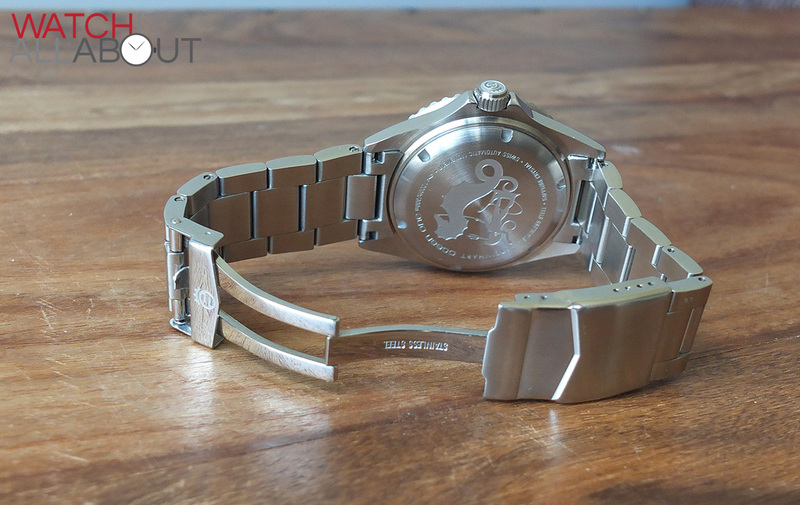 The screw-in caseback is completely brushed stainless steel, to match the back of the case. 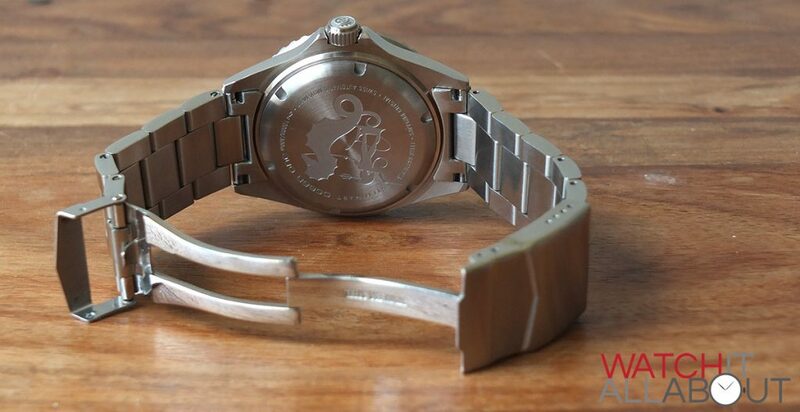 It’s most prominent feature is the deep engraving of a Trojan riding a seahorse, an obvious reference to the Steinhart Ocean 1 being a divers watch. It has a high amount of detail and is engraved with excellent precision. 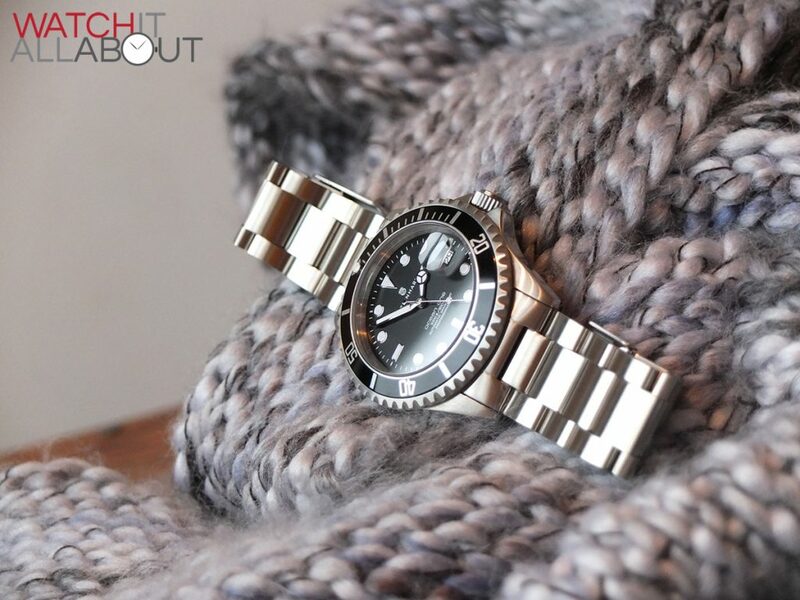 Surrounding it is the various watch specifics, such as the name, depth rating, and the fact that it is a Swiss automatic, has a sapphire crystal, and is stainless steel. Not all completely necessary, but they’re done in a way that doesn’t overpower the caseback and also with great precision. Sitting in top of the case is a thick sapphire crystal. You can tell this by tapping it: if it’s a high pitched “chinck” then it’s either a mineral crystal or a very thin sapphire. On the Ocean 1 however, it’s a nice deep thud, reassuring you that this isn’t going to get damaged very easily. Although there is no mention of it’s thickness in the spaces, I am led to believe that it is about 3.5-4mm thick. The crystal is flat, so it has no distortion at any angle. 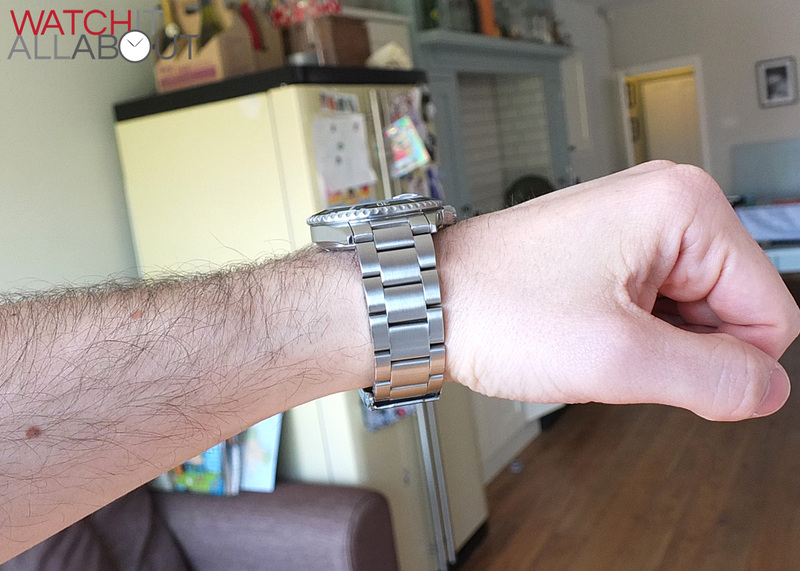 It is very slightly raised from the outer edge of the bezel, so you will have to be careful not to knock it. There is a colourless layer of anti reflective coating situated on the underside. So you can’t see it reflect any sort if colour (blue usually), but rather it just does it’s job quietly with no flamboyance and reduces a large amount of reflections. Another aspect of the sapphire crystal is the date magnifier, also known as the cyclops. This is positioned at 3, directly over the date window. It is glued onto the top of the crystal, as you can actually remove it if you don’t like it by heating up the crystal, which loosens up the glue. It’s application is spot on, not wonky or out of alignment. It magnifies the date pretty well, working at around a 1.5x magnification. 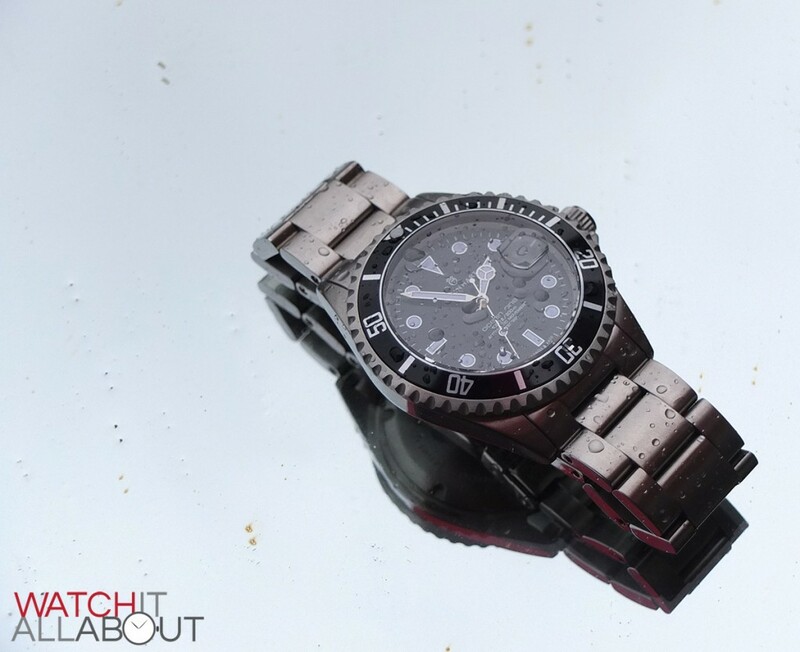 Due to it being a dive watch, it has the impressive rating of 300m / 30ATM water resistance, which means you can definitely dive with it. Overall, an excellently made case, which is very refined. 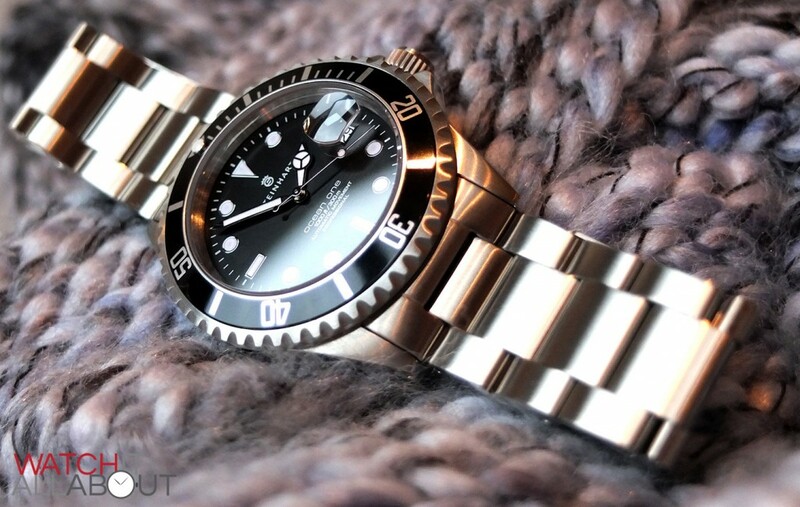 The Steinhart Ocean 1’s dial imitates the Rolex Submariner to a high degree. It has that class and timelessness about it. The dial is a deep black, with a matt finish. Black dialled watches always look smart, and the Ocean 1 is no exception. The main feature of the dial for me is the applied hour markers. Exquisitely made, they consist of a polished stainless steel surround and a lumed centre. At 12, the hour market is a tall upside down triangle. At 6 and 9, it’s a long thin rectangle. Everywhere else, it’s round. They are all extremely subtle, not too deep. But they are absolutely flawless. Even looking at them extremely closely you can’t see any marks or any misalignments – they’re perfect. Of course, another key feature is the classic Mercedes hands. The Mercedes symbol used on the hour hand has no real significance, apart from the fact that it is a good design to hold the lume material… And looks cool. There was no affiliation between Rolex and Mercedes resulting in this design. The hour hand widens slightly, and then turns into the round Mercedes symbol. Following that, it has a relatively small arrow point tip. The minute hand again widens out first, and becomes a straight baton, with an arrow tip. And finally, the second hand is a very thin line of steel, with a lumed circle at the equivalent length of just past the Mercedes symbol on the hour hand, and has a small round counterweight on the bottom end. The hands, just like the hour markers, are all polished stainless steel with lumed centres, and are immaculately made. Everything is just so clean and a crisp, it really is hard to find anything wrong with the dial. 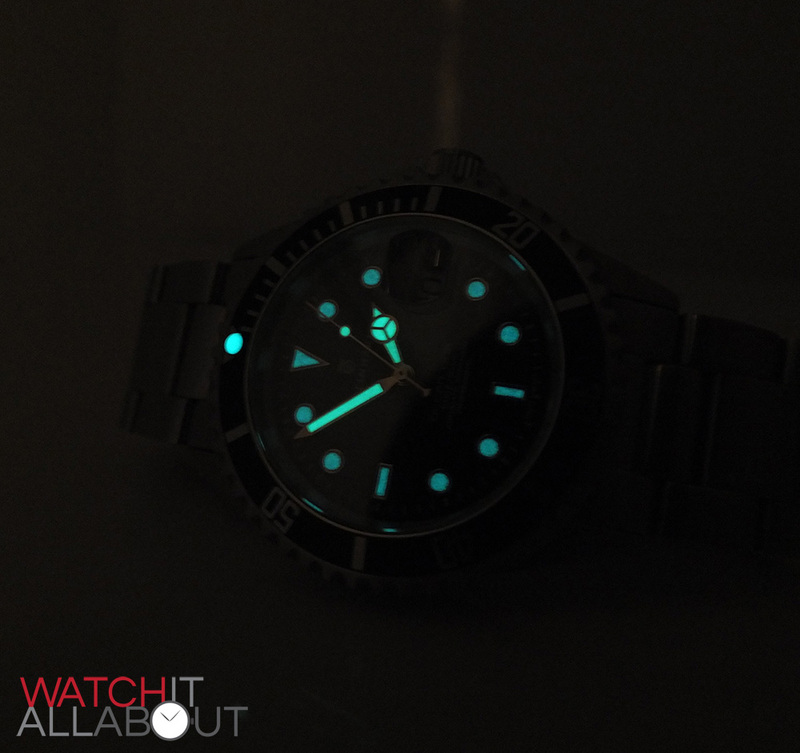 The lume used is Super Luminova C1. It has proved to be strong and long lasting, as well as being able to charge quickly. It glows a bright green and is also located in the pip at 12 on the bezel. Next, we move on to the date window and wheel. This can tend to get a little distorted due to the magnifier on top of the sapphire crystal. But, it’s nice to see that it, like everything else, it is well done, and offers a clear view of the date. Although you can’t really see it, the border to the date window has subtle inner bevelling, so it’s not just a plain square cut out of the dial, it’s a little more refined with a nice touch of finishing. The printing on the dial is all very accurate and precise, with no marking or smudging at all. 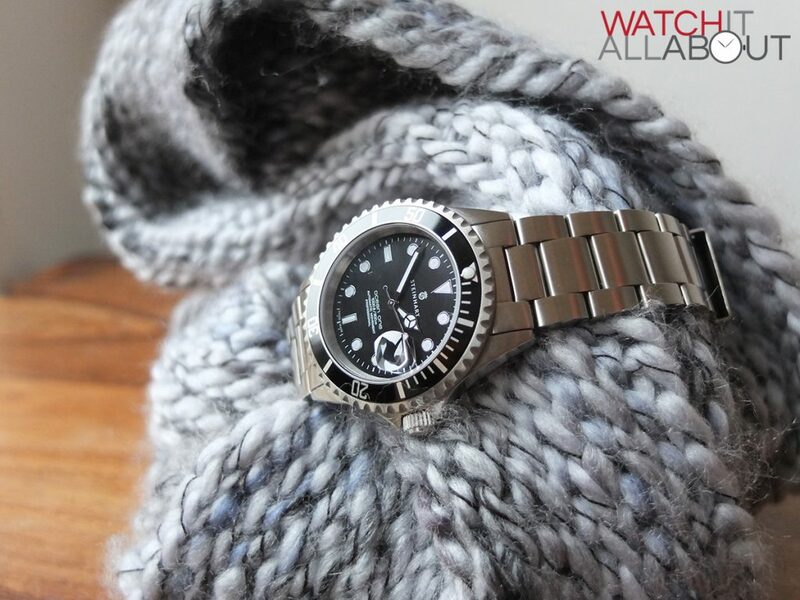 The general appearance of the Steinhart Ocean 1’s dial is tried and tested thanks to Rolex, so it is extremely easy to read and a timeless design. And although it can be classed as relatively simple, it is very well executed – and again, high quality for the price. The bracelet is 22mm wide for the whole length. Usually on a bracelet the buckle would be slightly thinner, but this isn’t the case on the Ocean 1. This gives the bracelet a very chunky feeling as it has decent width for the whole length. The links are all brushed on the top and bottom, and polished along the sides, matching the finishing of the case. All the links are impeccably machined and are super smooth. There are no sharp edges so this results in a very comfortable wear. 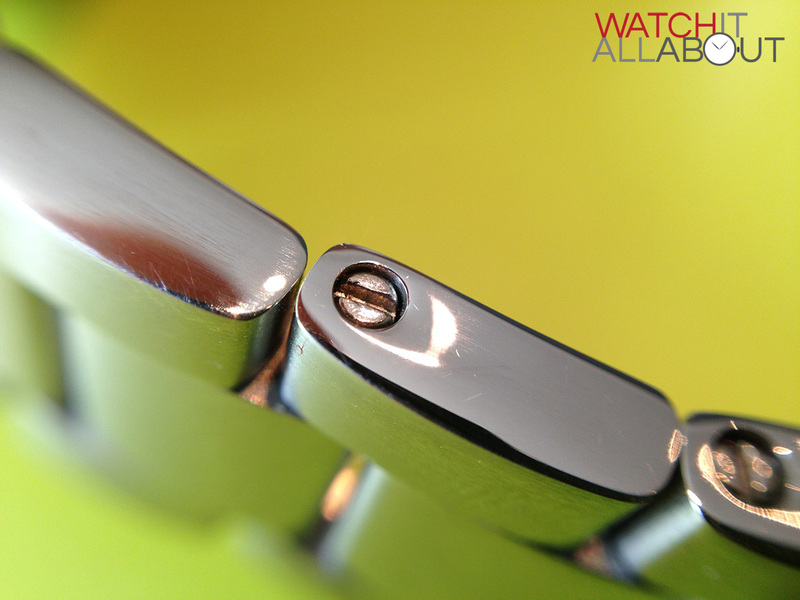 The end links joining the bracelet to the case are very well shaped, fitting together with great accuracy. No wiggle or gaps. The buckle is functional but I feel that it could be a little beefier to match the rest of the bracelet. The top is folded steel, which feels a little light when it’s open. When it’s closed you can’t really tell, but even so it would have been nice if it was a little more heavy duty. That’s the only negative comment about the whole bracelet really. 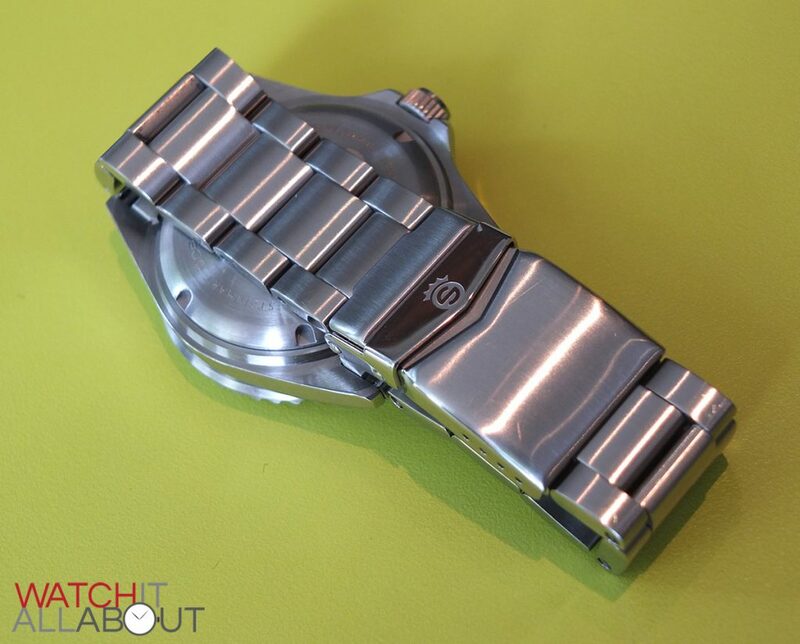 The finishing on the top of the buckle is brushed steel and is high quality as is the rest of the watch. The elbow joint in the buckle is nicely machined and well crafted. It’s completely polished and feels high quality. The movement of the joint is smooth. 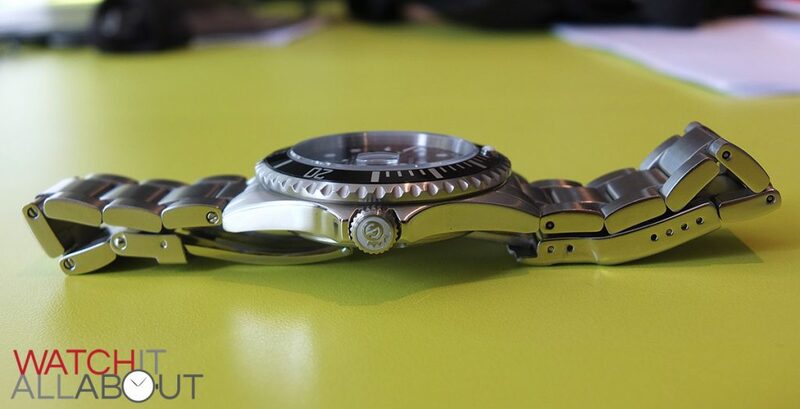 It’s also handy that the buckle has four micro adjustment points, but no divers extension. The top flap (the double lock) is all polished creating a pleasant contrast of finishing. 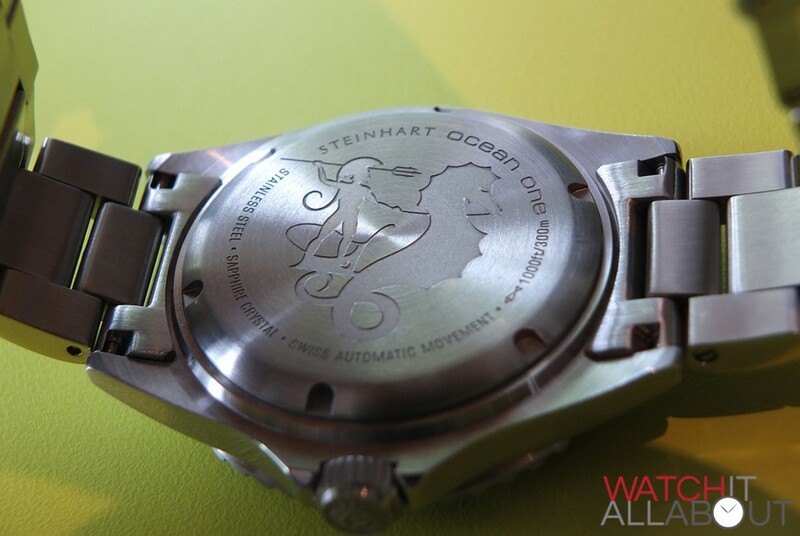 It has the Steinhart logo deeply etched into it which is a nice design cue and keeps it interesting. I like how the top flap isn’t just a plain flat tab, but rather it has a slight triangular bottom to it, again keeping things a bit interesting. One thing I do notice with this locking flap is that sometimes it can be hard to open, it feels as if it’s a little too tight. Not that that’s a big problem really, as it means that it’s going to be extra secure on your wrist. All links have screw-in pins which makes altering the bracelet very easy. All you need is a thin technical screwdriver to take them apart, rather than a link removal tool. 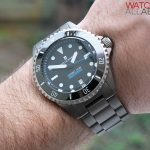 Many people regard the Steinhart Ocean 1’s bracelet as excellent for the price, and I’m happy to agree with them. 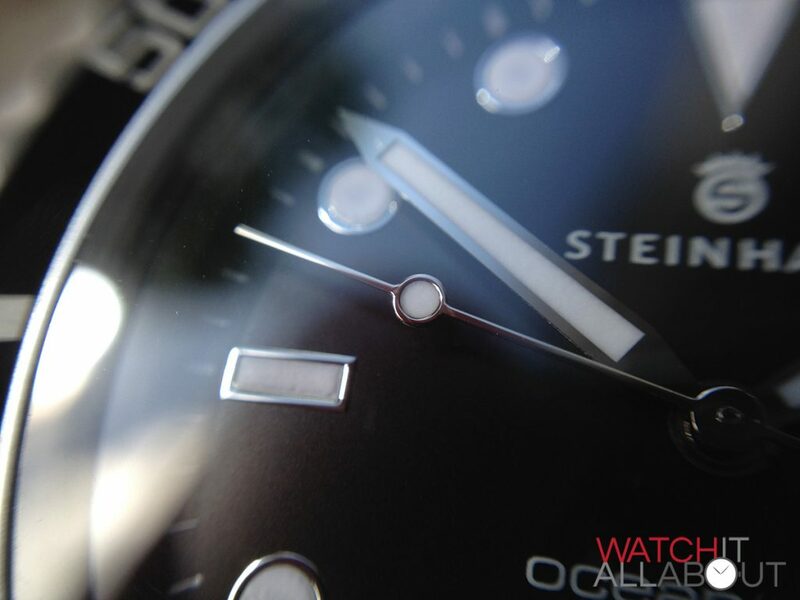 The movement used in the Steinhart Ocean 1 is the excellent ETA 2824-2. A true workhorse movement, it is used by a great amount of Swiss Made watch manufacturers to provide them with a robust, simple and dependable automatic movement. 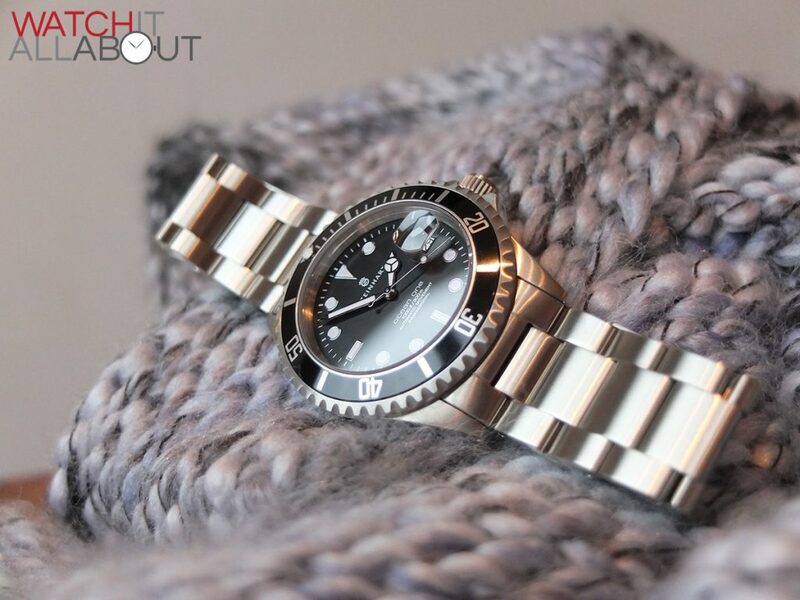 Even with the clamp-down the Swatch group are exercising over the availability of ETA movements, it’s good to know that Steinhart are still managing to get a supply. Who knows how long it will last for though. No doubt soon they’ll have to change movements – but for now that’s nothing to worry about. The 2824-2 is a well specced movement, having all the usual functions. It’s a high beat movement, running at 28.8k bph (8 ticks per second) offering a very smooth sweep of the second hand, with no stuttering or wobble evident. It also has hand-wind capabilities, a hacking second hand, and the normal approx 40 hours power reserve. The time keeping has proved to be excellently reliable and accurate, as you’d expect. The movement also feels reassuringly study and well made in the hand whilst adjusting – another demonstration of the quality and construction of the ETA 2824-2. The fact that you can get a watch like this for €350 is incredible. It’s just so well made and highly specced – you really can’t go wrong. The only two minor points really are the ever-so-slightly thin buckle (which is still very secure) and the lack of ingenuity in the design. But these are very minor. The fact that it is a direct homage to the Rolex Submariner means that it’s a bit of a “marmite” watch – you either love it or hate it. But, that doesn’t change the fact that it’s still a great watch for the money. 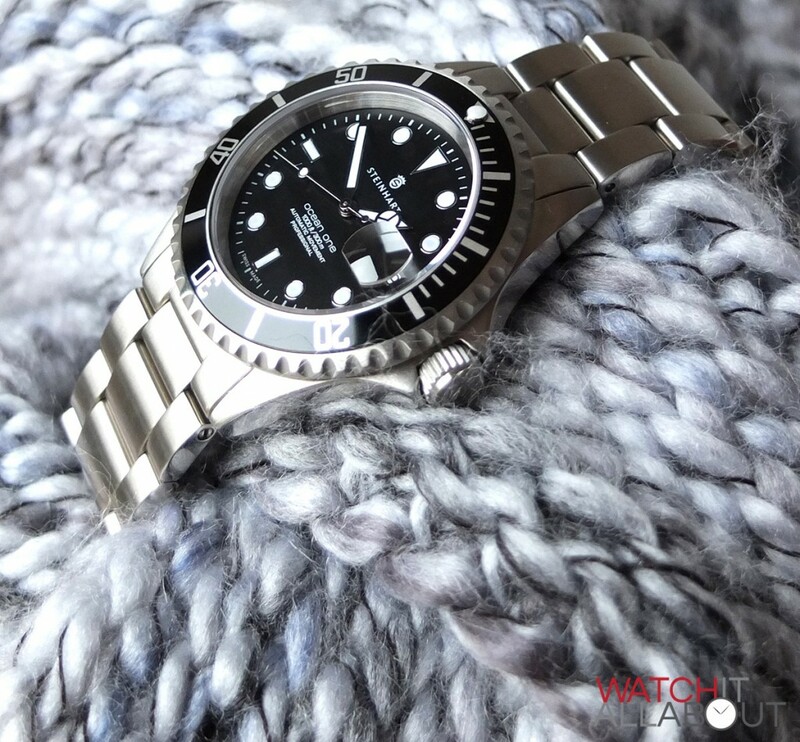 So yes, I’d highly recommend a Steinhart Ocean 1, just like all the others who have got one – and if you find a better Swiss Made diver for less then please tell me! Being bracelet Achilles heel of this watch, I wonder: Is it a good idea to place a Rolex bracelet or a good copy of that watch? 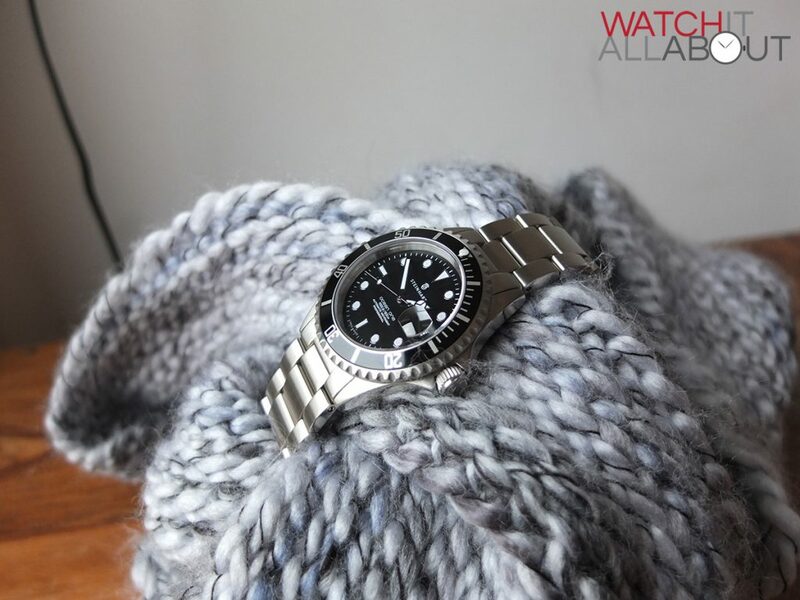 I have a Steinhart Ocean Vintage GMT (Rolex 1655 homage) which, like the Ocean1 reviewed here, represents fantastic value for such a well built and finished watch. However, as with the Ocean 1, there’s a bit of a problem with the bracelet – but not the one mentioned here. The screws holding mine together constantly undo themselves over a month or so no matter how tight they’re screwed up. A better bracelet might be a solution but I travel with a set of small screw-drivers as I quite like the original design. Great website by the way. Believe it or not, just put a dab of super glue in the screw hole before tightening down next time! If the screws keep coming loose on the watch then add some non-permanent Loctite to the end of each screw this is a common practice with motorcycle nuts and bolts because then they won’t vibrate loose and fall out. The same practices is also use with the eyeglass screws so they won’t unscrew them selves and fall out. It’s funny how when people talk about Waches that create homage to the Rolex, everyone seems to forget the three pointed star is stolen from Mercedes-Benz that Rolex uses. But yet we praise Rolex for stealing a Mercedes-Benz three pointed star for their submariner watches but badmouth anybody else who uses the same star! 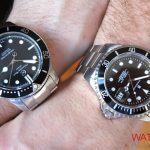 Seems like people are being a little hypocritical when they badmouth other watchmakers for using a design that Rolex stold from other watchmakers and car manufacturers when they made their Submariner divers watch. Like that of drugs that have lost their patent, generic drugs replace them at a lesser price but do the exact same thing as the original if not better. I guess it’s okay to buy generic drugs that saves you thousands of dollars a month, but it’s not okay to buy a generic watch that looks like the original and performs as well as the original. Then everybody screams like a little girl with the skin knee, that all they’re doing is stealing somebody else’s idea! Rolex doesn’t charge the prices for their watches because you’re such high-quality, they charge those prices for their watches because they can. In today’s age of CNC machines and laser cutting machines it’s easy to make a very high quality stainless steel watch compared to 50 years ago. Because of this, there’s no reason for any watchmaker out there that can’t make a decent watch with very high tolerances. Steinhart uses some watch ETA ‘s that Have a frequency of 28,800 times an hour, that’s the same amount of beats a Rolex does and it’s just as accurate as any Rolex out there. That means that secondhand moves eight times a second.The only other watch I know of that outdoes this is a Grand Seiko that has a frequency of 36,000 beats per hour. 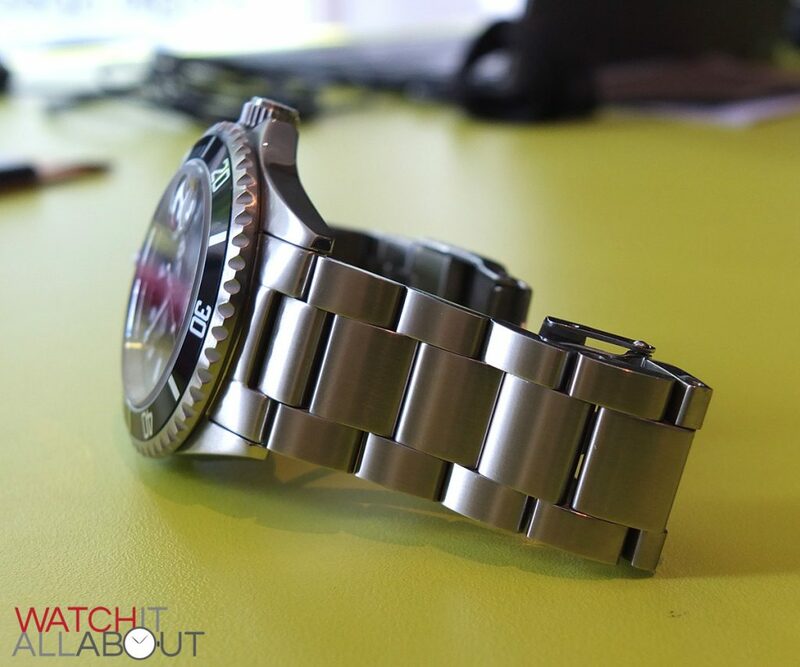 It’s nice to read a review about a watch company that actually makes a watch and gives you the most bang for the buck and not trying to rip you off…” because they can.” I wish to thank The author for the very closeup photographs of the watch, which tell somebody like me when I examined such photos that this watch is not made sloppy or cheap. I do not own the Steinhardt watch, but it’s reviews like this and others that I read in order to make and astute judgment call on whether or not I wish to buy this manufactures product. I agree with your observations and have some additional ones to make. Not only did Rolex use the Mercedes “pie-chart logo” but Rolex took the whole watch look and feel from the French Navy’s UDT military dive watch designed by one of the French UDT officers and eventually put into production by Blancpain as what became their Fifty Fathoms a year before Rolex went into early production. 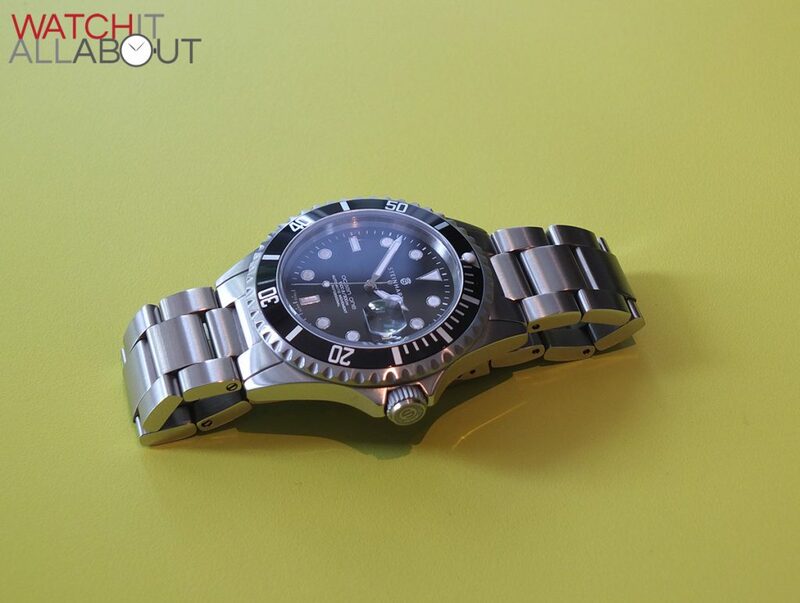 Even then, the Rolex Submariner wasn’t a luxury watch, it was a well made diver tool watch initially used on a commercial scale by COMEX, a French dive company. 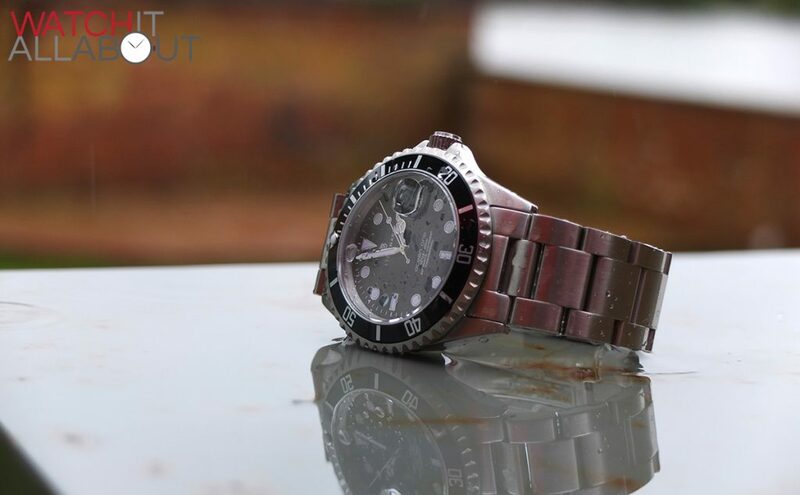 The Submariner stayed that way as one of several good diver tool watches until made famous by a fictional spy who, according to the author who originated him, wore an Explorer and not a Submariner. 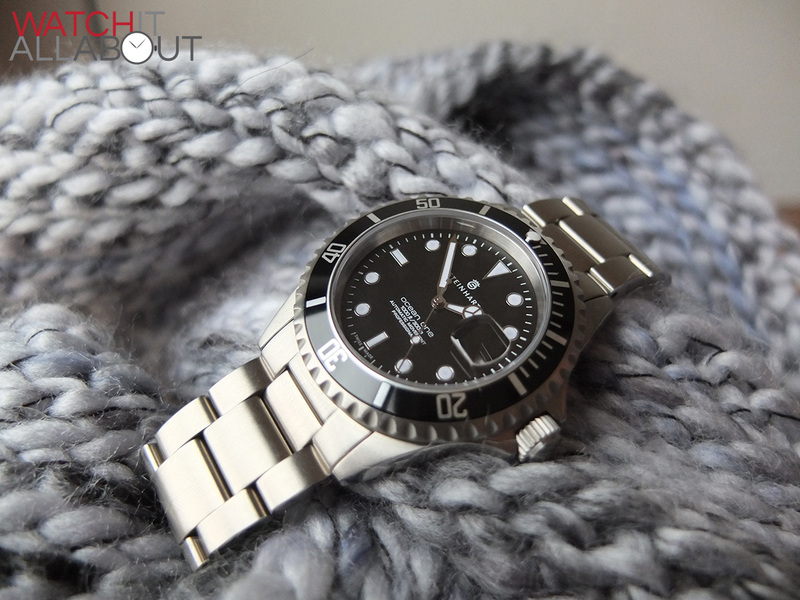 Continuity between the books and films was overlooked on the set and the Submariner was launched into its path into shrewd marketing and became a luxury watch. Even then, it was launched into stardom with an ill-fitting 2 mm too narrow cotton buckle strap (NATO straps didn’t even exist then). Switzerland’s watch industry has engaged in this smoke-and-mirrors as a practice for a couple of centuries with the assemblage’s re-numbering calibres and puffed-up claims of ebauche improvement to obscure movement origins. In most cases, they acquire standard catalog enhancements from the manufacture and then do nearly no improvement more then additional decoration or rotor engraving with maybe some additional regulation or minor adjustment. 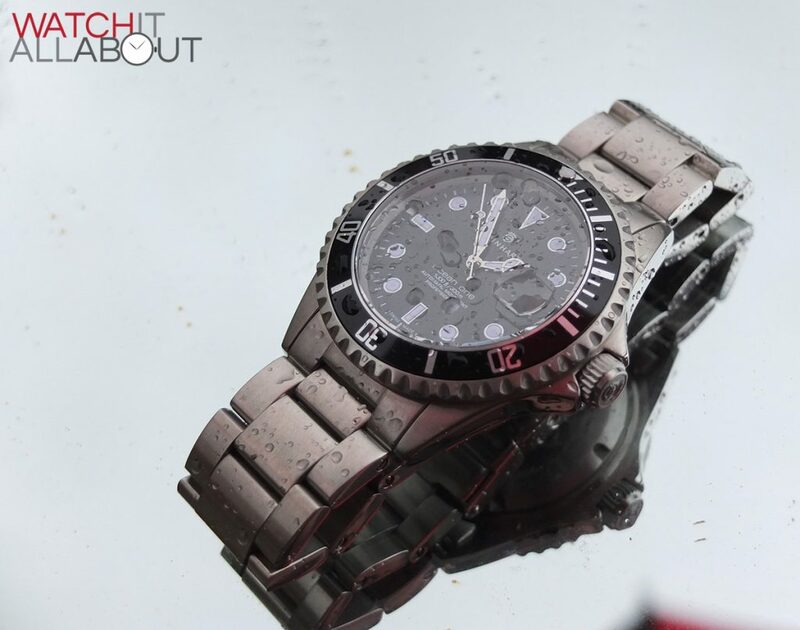 You can get as good a watch as nearly any of the well-known luxury watches at between 10% and 20% of their equivalents if you know what you’re getting on the inside and outside, deal with a recognized and reputable assemblage or manufacture, and aren’t looking for an expensive hood (bonnet) ornament on the dial. 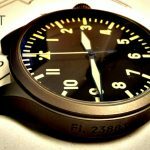 I was lucky enough to “stumble” upon such an honest review of a watch I have been considering purchasing for quite some time. It was refreshing, to say the least. I have just one final doubt. I don’t have a big wrist, so big steel bracelets aren’t my thing (besides: being a former Navy Diver myself, I always liked and felt more comfortable with Velcro -especially the Morellato’s Aqua series- or caoutchouc straps). 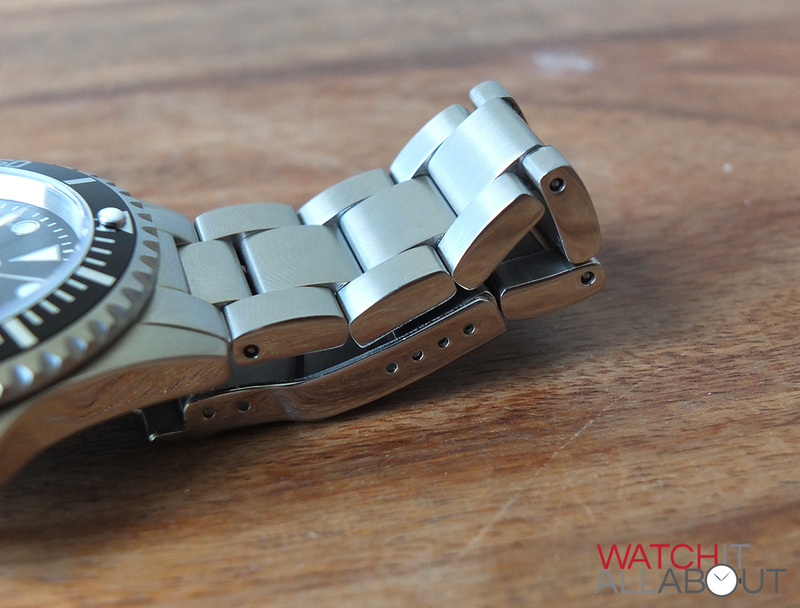 Here’s the question: I’d like to purchase the Steinhardt and replace the bracelet with a so-called “NATO strap”; is the bracelet linked to the case by “traditional” 22mm spring bars (I am assuming this looking at the caseback picture posted in the review)or there’s more? Thank you for your time, your consideration and this fantastic blog of yours. Hi Francesco, thanks for the kind words! Yes, the bracelet is fitted with standard spring bars. So you can easily replace it with a NATO strap. I know you’ll thoroughly enjoy it when you get one! Thanks to you, Joshua! I will! 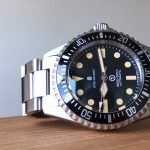 Super review and spot on about this fantastic watch I do have a Rolex sub (2002 model) but I love my pepsi GMT Steinhart over it!!!!!!! I also have 2 hydro conquest in blue dial and red. 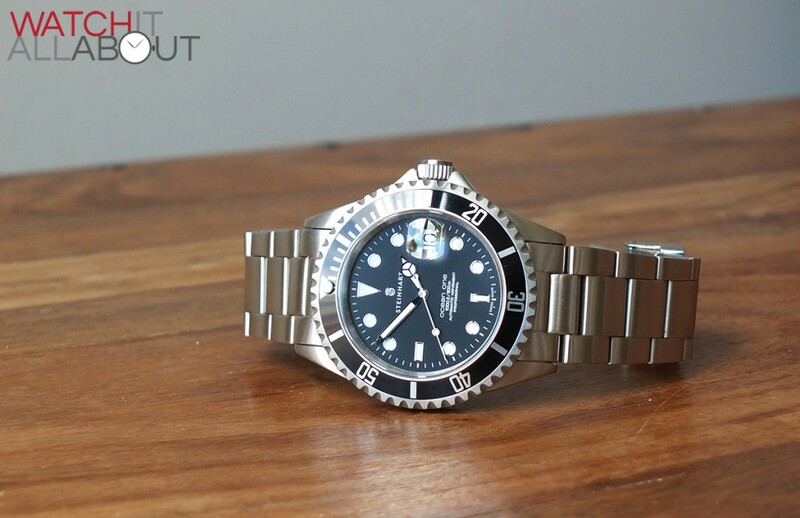 hello, what would choose between a tudor submariner 79190 and Steinhart Ocean 1? why ? 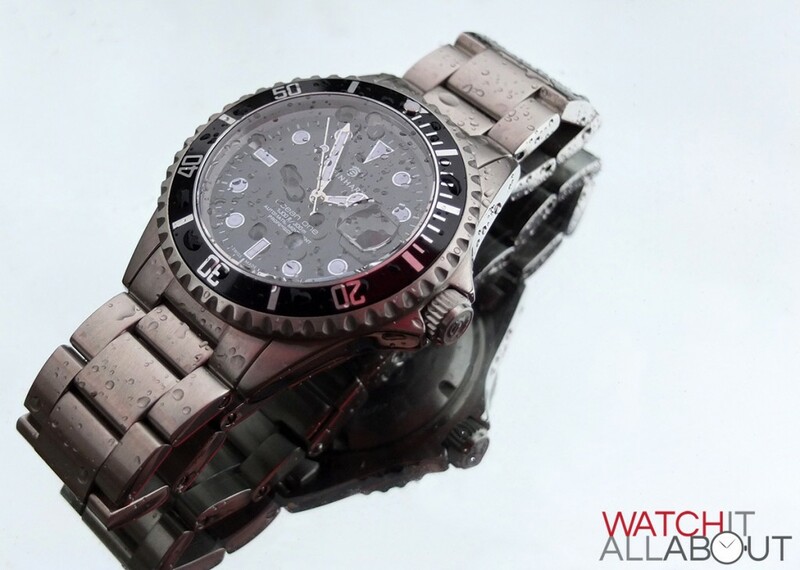 Buy the Steinhart better VAULE I have just had a bill from Rolex to service my watch £2,770!! I just got mine (used) yesterday. I realli like the fit, finish, and look of it. Thanks for the review and comments here. For the money it’s a no brainer, but there are some small niggles, like the caseback that they could have sorted out. I’ve been eyeing this company and watch for several years now and I have purchased one today because of this outstanding review. I bought an Ocean One September 2015. For the first six months everything was fine. The watch ran slow about seven seconds a day. After a weeklong trip where I left the watch in a drawer, I started wearing it again. Now it started gaining over three minutes a day. 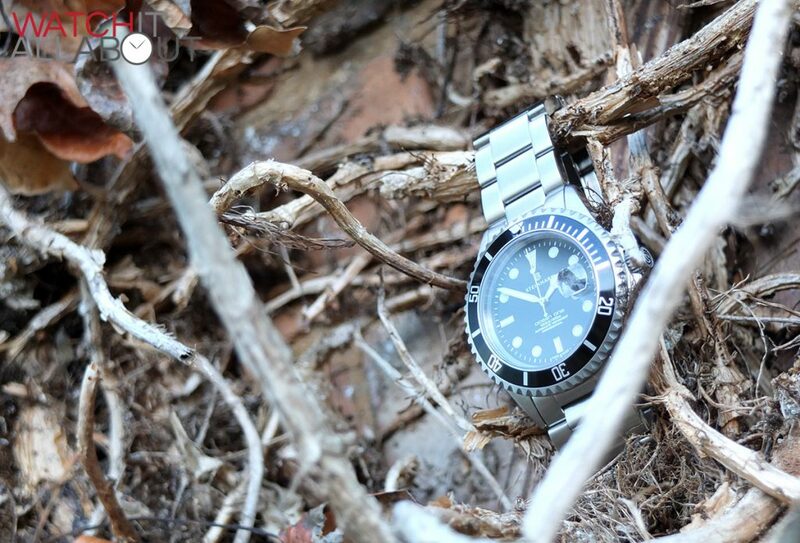 I contacted Steinhart. They have no service centers in the US. I have to go through an elaborate process wherein I am warned of the danger of incurring additional charges. First of all, the watch should keep good time. It should maintain performance for longer than six months. 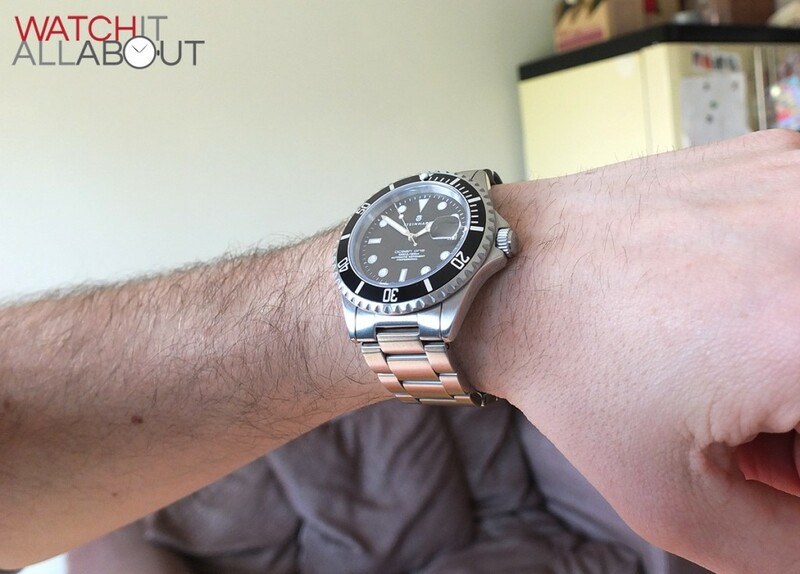 Secondly, other reviews have mentioned movement quality problems and find the requirement to return their watch to the manufacturer acceptable. I find it burdensome and too complex for this inexpensive watch. Lesson for me is to buy products with better quality control and that provide domestic (US) service. I had an issue with mine not holding reserve power. 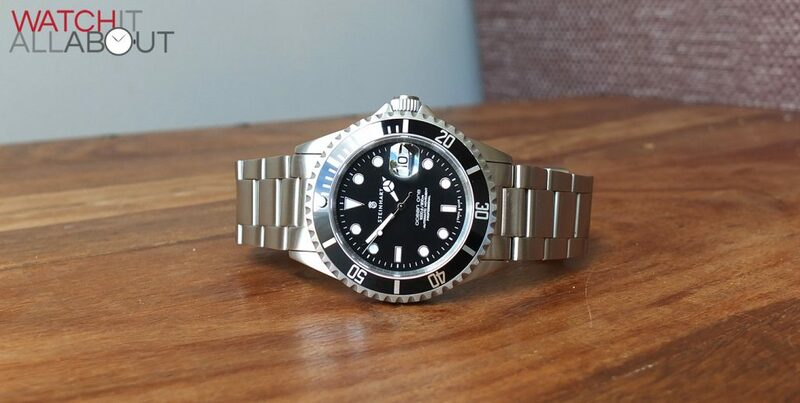 Steinhart paid for express shipping to and from the States, which wasn’t really a hassle, replaced my ceramic bezel with the latest version as my pip was a1/100 of a milimeter off. All with no questions asked. Terrific company with tremendous pieces that the every man can own! What more do you want?? 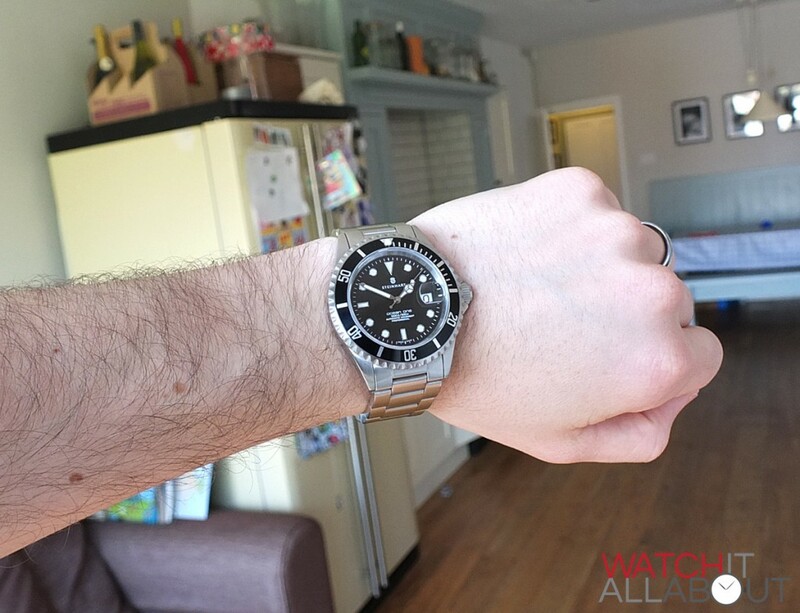 I bought a Steinhart GMT pepsi few months ago and could not be happier.The fit finish and value/performance ratio is exceptional,I have read on many other forums that many Rolex owners also own steinhart and absolutely love the Steinhart. If thats not a compliment dont know what is. 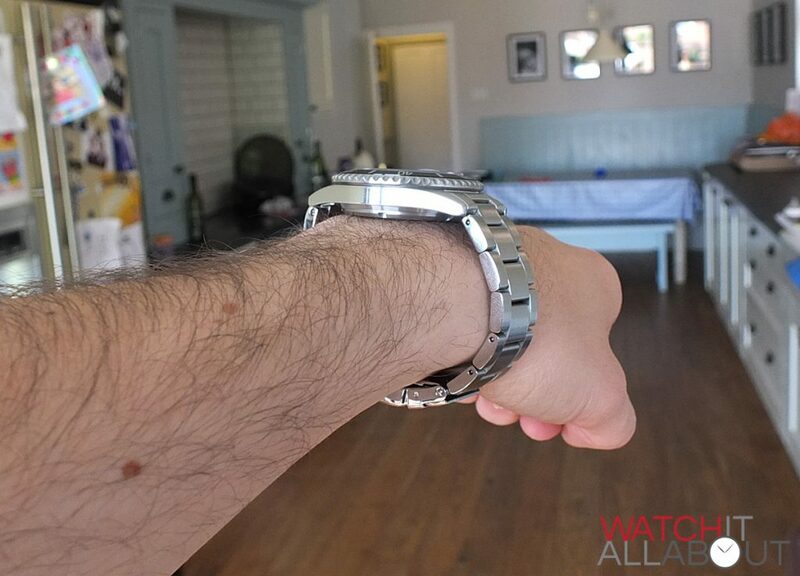 I took the watch to a jeweler to size the bracelet and he as floored by the quality to price. Accuracy has been within +/- 5 seconds per day. I am a big frame guy so the 42mm case size is perfect for me. My only cons are the bracelet clasp which often doesnt stick on the first close.The cyclops should have been 2.5 magnification instead of 1.5.The only usa distributor is Singapore based.I was not happy with offshore credit card transaction so i bought from Texas based reseller..No problems with the transaction. No US distributor anymore. Why? Should I hesitate to buy the watch? I bought an Invicta Sub, 9937, Selitta movement I think , unless I was lucky enough to get the ETA movement before they discoed it. Saphirre crystal, ect. 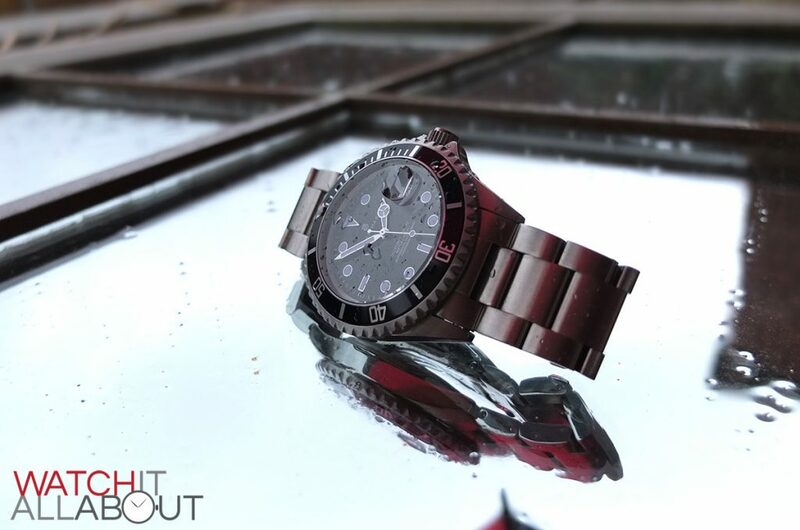 Great watch for about $300, but I wish I had known about the Stienhart before I bought. But one thing I do like, and I wanted in a watch. On mine, the (very solid, forged) band is screwed into the (ears) of the watchcase, meaning that those expandable pins no longer bend (which they all do!) due to the weight of the watch. 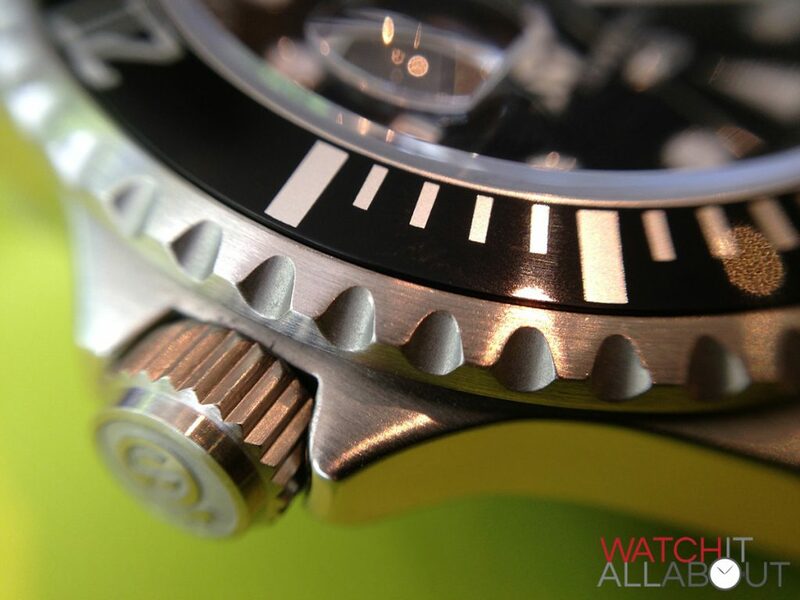 The Steinhart does not seem to have those same screws. Does that mean it has those dammed pins?? On other watches those constantly bent and had to be replaced, at least once a year, and would break at times. This is the watch I’ve always wanted, but didn’t know existed until this year and I’ve just ordered one. Your review and other peoples comments making the decision easy. However, I would like to get something similar for my good lady. As I’m sure Mrs C-F will have a good watch, do you know if there is a ladies equivalent (Swiss auto movement, 3-400 Euro.) in the world. I have had the GMT for 18 months now, and compared to the expensive branded watches I own, I have used this as my daily watch and actually prefer it, personally not had a single problem and unusually for an automatic has proved absolutely accurate, and by that I mean second accurate over months of wearing, which as I ride a motorcycle daily is rather rare, all my other automatics don’t come close, again I doubt it’s the norm, but it’s rather spooky. I do not have a massive wrist but it fits comfortably, feels reassuringly solid and every thing is as the excellent review above reports. This is the first ‘budget’ watch I have owned in adult life but would not hesitate to purchase another Steinhart again. Just to note, the bracelet with this watch is tapered slightly, it starts at 22m at the lugs and tapers to 20mm at the clasp. 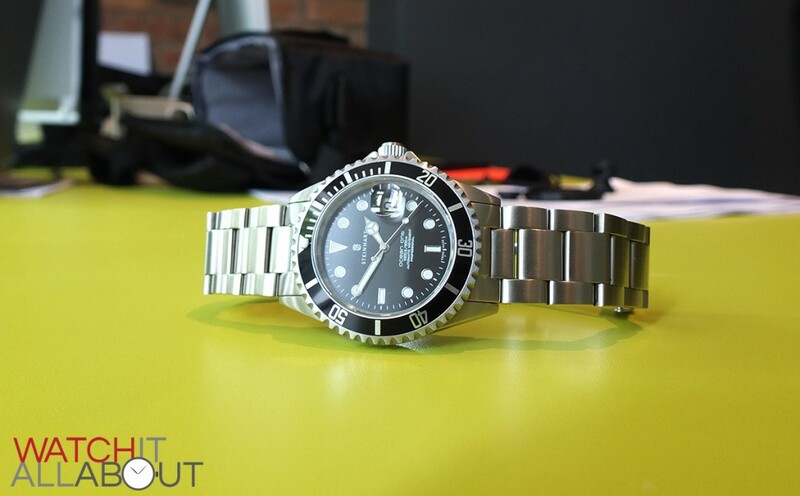 Steinhart just came out with a jubilee bracelet for the Ocean 1. 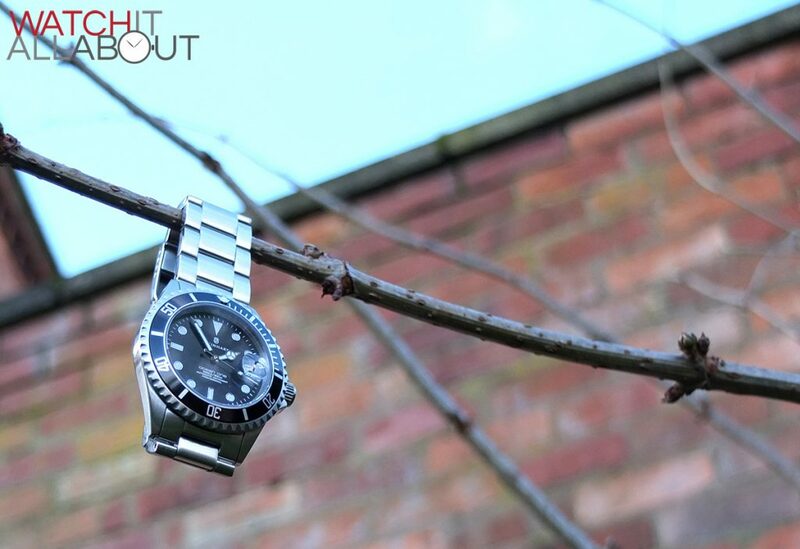 It is an exact copy of the Rolex jubilee that is on their new GMT that none of the Ad’s can get in stock. I bought the new bracelet and I love its more easy feel. A jubilee simply has more moving parts and thus there is less of a feeling of wearing a big bulky bracelet. Amazingly my Steinhart seller Gnomen Watches of Singapore contacted me an offered the bracelet at $120US. I own a 55 year old Rolex Oyster with a jubliee (only worn on special nostalgic occasions) and I have always loved the jubilee look and feel. My Steinhart Ocean has a dark gray face and one line of red letters, which have over four years faded to a lovely vintage look. My watches loses 2 minutes per month which is what my Omega Speedy also loses. However it cots 1/8th as much and buying it through Singapore avoids tariffs and all the rest. Gnomen guys are just great to deal with. My watch lost its tiny button on the bezel at 12:00. Gnomen sent me a new one four years after my purchase. what Ad will do that for you. Of course I have sent many guys to Gnomen for a Steinhart and they know it. Try the jubliee band. Thanks for sharing, will check out the new jubilee bracelet!